From the moment Stephanie and Sean became engaged during a trip to Vancouver Island (great things happen in Canada! 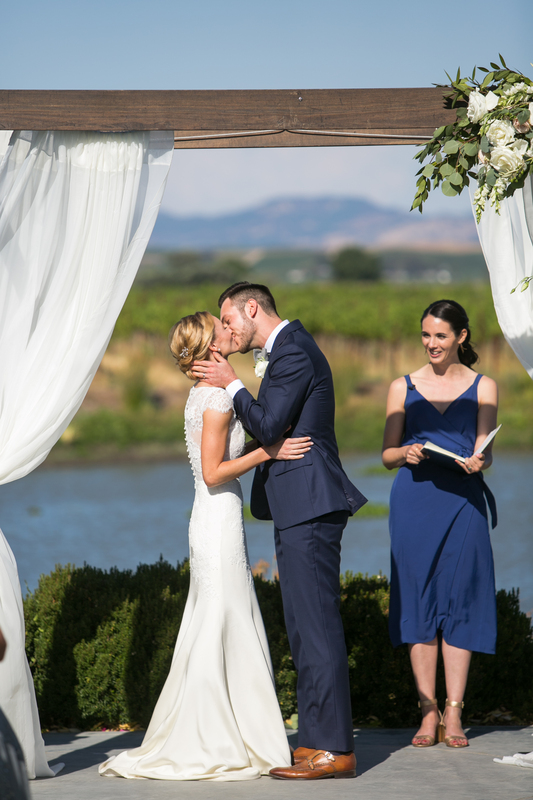 ), they knew a Sonoma wedding was in the cards. Stephanie’s mom is Norwegian, and Stephanie spent many years living in Norway. The experience nurtured an affinity for neutral colors and Scandinavian design, and when she and Sean saw the beautiful white barn with its bright, modern space at Tyge Williams, they knew it was the perfect place to start their journey as husband and wife. 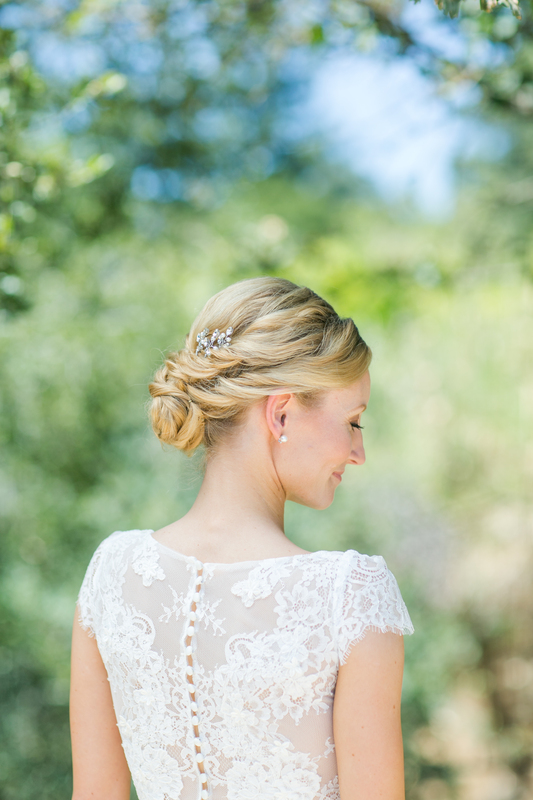 Woven throughout all the love and Scandinavian-inspired color and style of their day were lovely personal details. In place of a cake, Stephanie and Sean decided to have a dessert bar and a gelato cart from their favorite gelato shop in San Francisco, Coletta Gelato. Sean’s sister, who officiated, began the ceremony by telling the couple’s story, and they wrote their own vows. That gorgeous gown Stephanie is swanning around in? That’s Iris! Our radiant bride had been on the hunt for a timeless, elegant gown in which she could dance, and when she met our Iris gown at Lace and Bustle, it was a match!